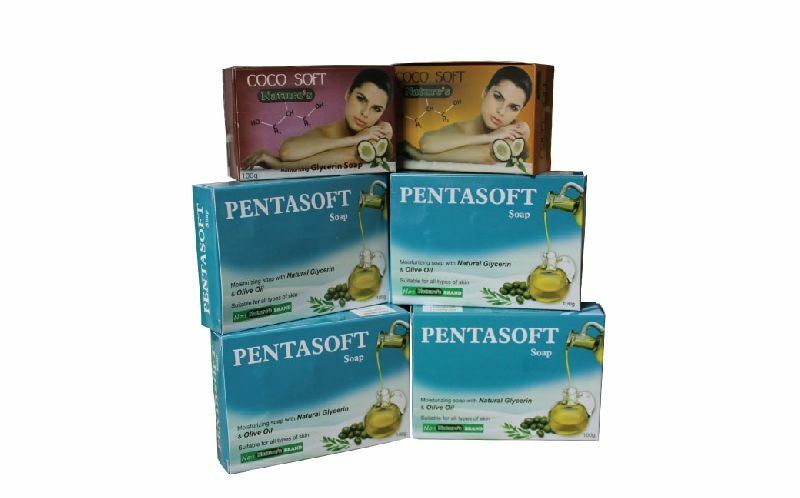 Pentasoft Soap is an extra moisturizing Glycerin soap enriched with Virgin Coconut oil. Glycerin is thought to be humectants. The Soap can absorb the moisture in the atmosphere and this unique quality is visible once you keep the soap enclosed to air. Due to this quality, glycerin soaps attract moisture to your skin and keep it locked in. This unique quality of the soap is effective on all types of skin. The benefits of glycerin soap with the presence of Virgin coconut oil help your skin to become healthy and moisturized. Virgin Coconut oil provides antioxidant protection for the skin. Therefore, it may help to protect the skin from premature skin aging. It’s cleans the skin while preserving the Natural oil layer of the skin. Wash body and face, massage lather in to the skin. Wash off thoroughly with water, Towel dry. Recommended for regular use of twice a day for best result. Warning : For external use only. Avoid contact with eyes. If product gets into eyes, rinse thoroughly with water. Further, if any irritation occurred, discontinue soap and consult a doctor immediately.